Sajjid Mitha: Was food always your passion or did you start off with something else and became a chef by accident? Jitin Joshi: As a child, I always wanted to be a doctor. The first book that I ever bought was a first-aid book in 1984. I loved biology so much that it was all I ever studied. But since I neglected other subjects, I couldn’t get through any of the entrance exams. I was devastated and had lost all motivation. Then one thing led to another, and I ended up at ITM, Ahmedabad. After studying hospitality for 3 years, I got a job at OCLD, Oberoi School where I was trained in various aspects of cuisine. After graduating in 1999, I was posted at Rajvilas. It’s a beautiful property. And from your blog, I know you’ve been there. When I read your blog, it brought back many memories as that’s where I met my wife. Soon after, I got a lead to work in a 2-Michelin-starred restaurant in London under a French chef called Eric Chavot. There was a lot pressure as everything had to be perfect and I was the only Indian in the brigade. Thereafter, I worked as Head Pastry Chef at a French restaurant in London – Maze by Gordon Ramsey. I worked closely with Jason Atherton who is now a global phenomenon. Sajjid: Have you worked with Gordon Ramsey? Jitin: No doubt, it is he who is the one who is world famous but he wouldn’t come into the kitchen as often as Jason would. But I did have the privilege of interacting with him once every week or so. After a year at Maze, I joined Atul Kocchar. Back then, he had just started a new restaurant, Banaras. I went on-board with him in 2006 and a year later, we got the Michelin star! We built a great bond because of it and even opened a restaurant together in a vineyard in South England. It was my dream restaurant – a stunning location, using local produce, fifty-seater and very high-end. Then a year and a half ago, I got an opportunity with Taj. This is my first role as an Executive Chef with a globally renowned brand. I didn’t want to miss this golden opportunity. Sajjid: Laveena and I were very impressed with the food Chef Nilesh prepared. I believe he has trained under you. We had the black cod yesterday, which had a twist on what Chef Morimoto prepares at Wasabi. We felt that it was even better than the one we had at Wasabi. Jitin: Yes, he is a very talented boy. You made my day by comparing my apprentice with someone like Sir Morimoto. Sajjid: So, how many restaurants do you look over at the Taj Dubai? Jitin: I am managing three restaurants, two lounges, a night venue, in-room dining, banquet, and the poolside restaurant. Some of our finest restaurants are Tesoro, Bombay Brasserie, and Eloquent Elephant. Sajjid: So, do you have any plans for the future? Maybe set up a standalone Michelin star restaurant of your own? Jitin: I am completely committed to the Taj. However, as a chef who’s gone through the Michelin madness, it’s my dream to own a Michelin star restaurant one day. It’s exactly how an Olympian would feel about winning a gold medal. Everyone loves to see a full dining room, happy customers and get good reviews. But a Michelin star is beyond all that. I’d get a tattoo if I get a Michelin star and take it to the ground when I die! That’s how I feel about it. Sajjid: With the worldwide experience you have and your repertoire of cooking, which cuisine do you feel you are best at Jitin? Tomato, garlic and chilly are three ingredients. If I cook the chilly, garlic and tomato and add crushed coriander seeds to them, the result is an Indian kadai sauce. If I blanche the tomatoes, de-seed them, use a bit of olive oil, crushed coriander seeds, lemon juice, parsley, salt and pepper, then that’s French. If I puree the tomatoes and cook them with some oregano and garlic paste, what you get is pasta sauce – Italian. Using the same three basic ingredients, I can make different cuisines. So, when you ask me what my specialty is, I’d say that I know my ingredients, and what to do with them is up to me. 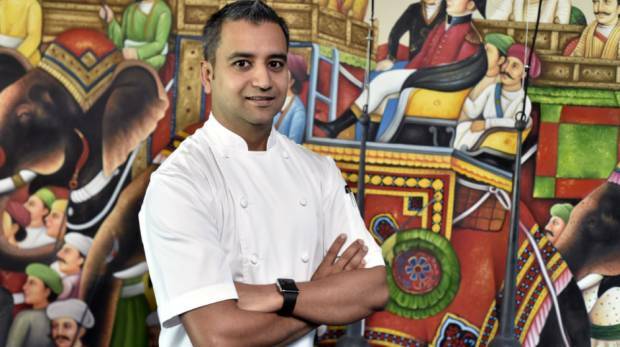 Sajjid: What would you advise young chefs who are passionate about getting into the business of cooking? 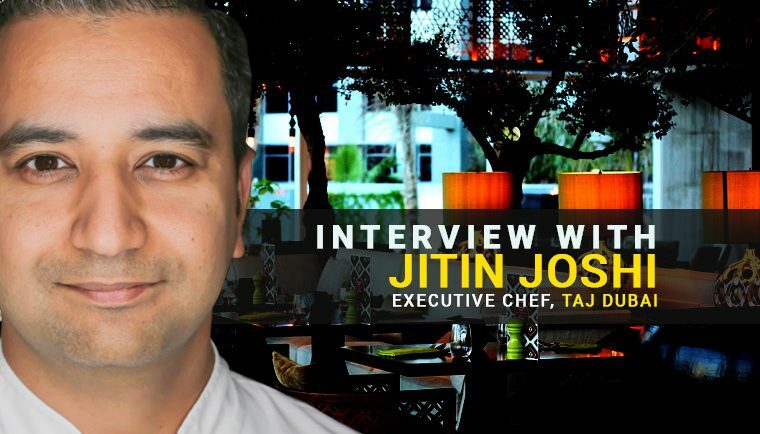 Jitin: I would advise every chef to do their homework and understand their customers. If a chef has to choose between authenticity and popularity, I feel that popularity takes priority. Your food may be authentic but if it doesn’t attract customers then you’ll go out of business. However, if your food is popular but not authentic, people will still visit your restaurant. I’d suggest working on establishing your name first and then innovate your food. Being creative with your food is good, but there’s no point if it isn’t popular. Thank you for posting excerpts of the interview Mr. Mitha. I particularly liked what Jitin recommended to young chefs in the end. I hope they are listening!!! 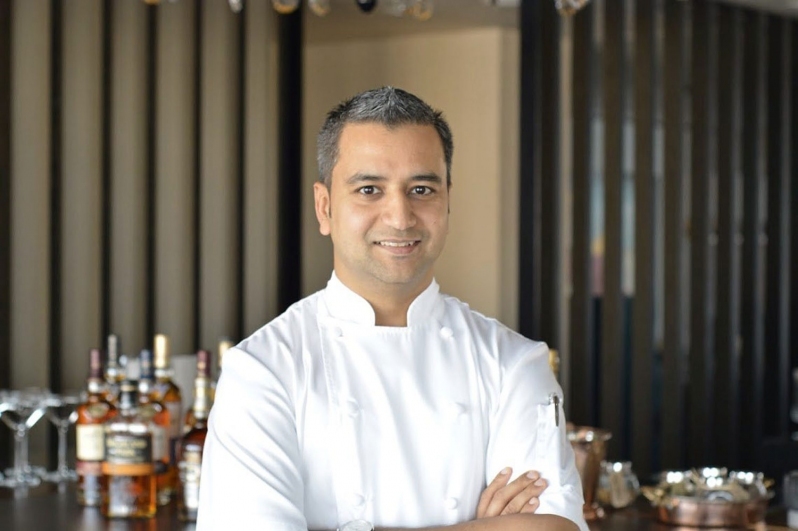 Jitin’s interview was very nice to read…he is a fine chef. 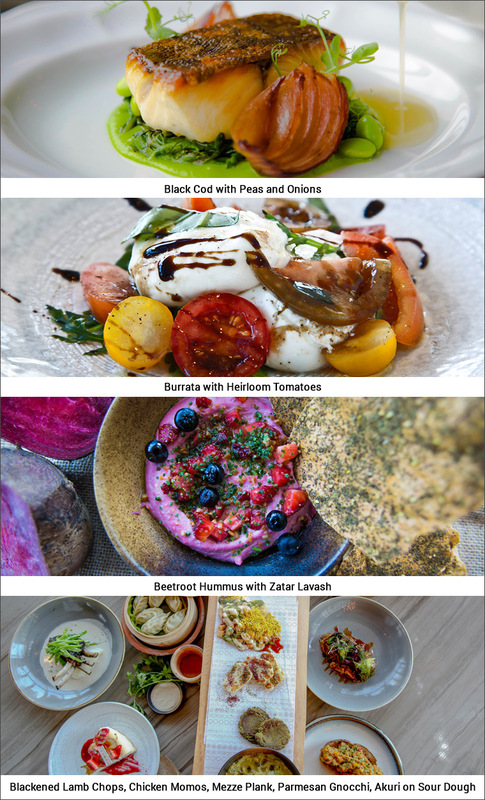 I’ve been to Taj Dubai…. love the food there!!! I was not aware that Jitin worked in London before. The interview was interesting. This is how you sometimes get to know the chefs better, their likes, dislikes and what is it that they love about cooking. Keep it up Sajj…looking forward to read more of such posts!!!! Loved the interview Saj and I am definitely going to one of his outlets when next in Dubai. ?